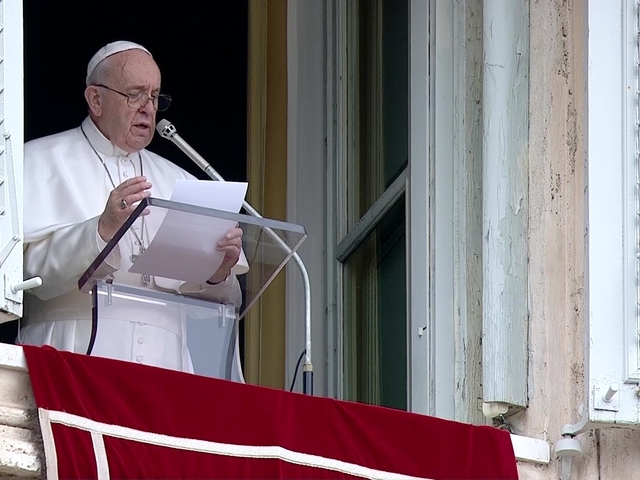 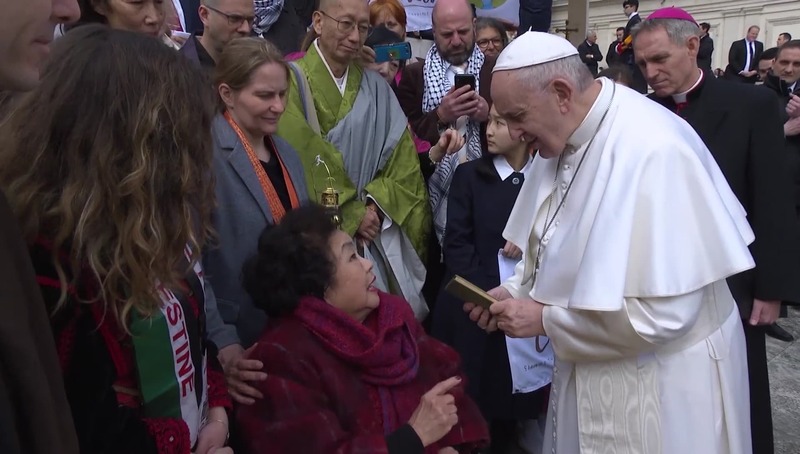 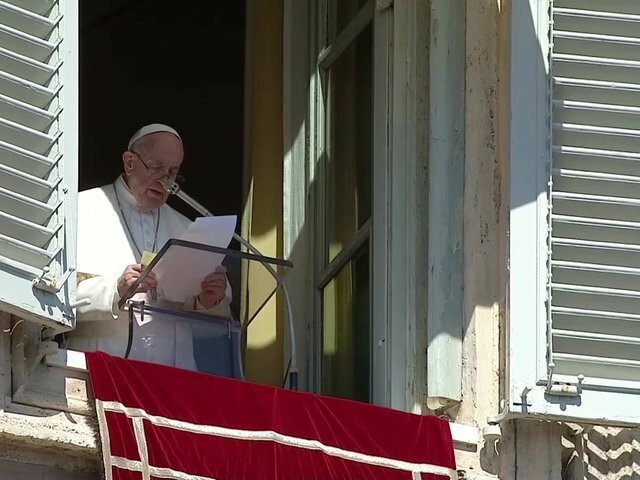 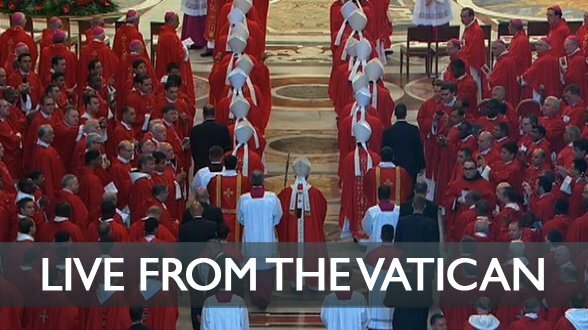 Every Sunday and on the main liturgical feasts, the pope recites the Angelus prayer with pilgrims who are in St. Peter's Square. 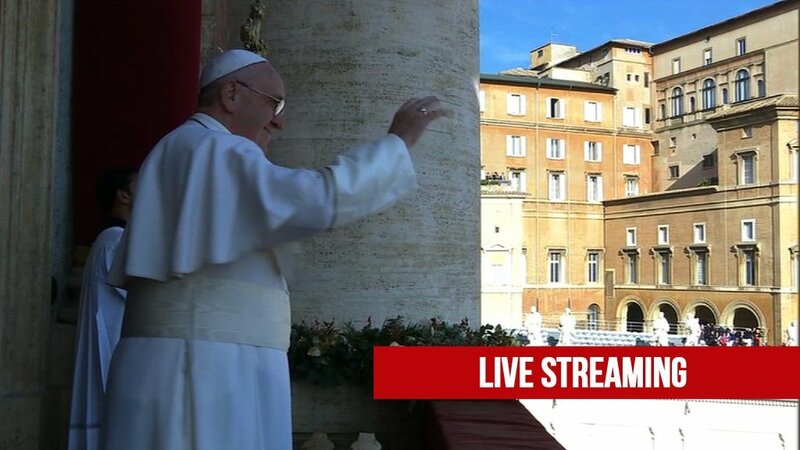 Before and after the prayer, he delivers a brief reflection and issues greetings. 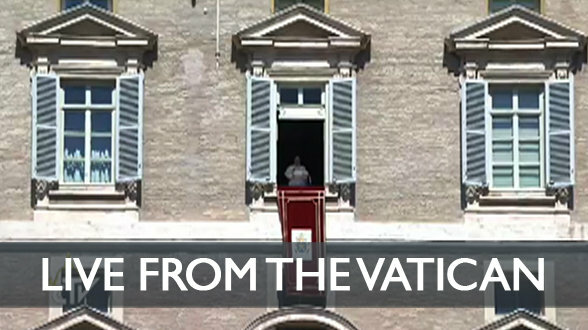 The prayer begins around 12 p.m, Rome local time.